Proving once again he is the reigning puppet master in the global energy sector, U.S. president Donald Trump complained on Monday that crude prices are climbing too high - and traders responded by causing oil futures to tumble by over 3 percent. 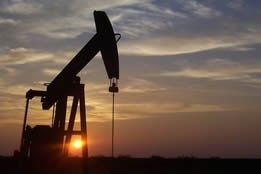 Brent fell $2.36, or 3.5 percent, to settle at $64.76 per barrel, while West Texas Intermediate dropped $1.78, or 3.1 percent, to settle at $55.48. Trump's message had been conveyed via a tweet to the Organization of the Petroleum Exporting Countries, and it stated simply, "Oil prices getting too high; OPEC, please relax and take it easy, world cannot take a price hike - fragile!" With this, the brash billionaire effective ended an emerging winning streak that had culminated during the previous session in both benchmarks exceeding a three-month high, driven by hopes for an end to the U.S./China trade war. Jim Ritterbusch, president of Ritterbusch and Associates, said in a note, "Trump appears to be attempting to micromanage the oil... to maintain strong enough production to keep global supplies in surplus. "But as far as the Saudis are concerned, today's tweets could even embolden their efforts toward restraint." John Kilduff, founding partner at Again Capital, added, "If you read into [Trump's comments], I think there's speculation there will, in fact, be another round of waivers granted to countries and companies to buy Iranian oil." With all the volatility going on in the energy market, in which price swings can occur for the flimsiest of sentimental reasons, it's no wonder Goldman Sachs stated on Monday that prices will continues their wild ride in 2019. Specifically, the bank believes prices "could easily trade in a $70-$75/bbl trading range," but "such an environment would likely prove ﬂeeting.....as a result, we would view near-term strength as a window of opportunity for producers to sell forward prices to create earnings security before the return of the New Oil Order later this year" - referring to surging U.S. output and rising low-cost output from OPEC and its allies, including Russia. Goldman also cited as reassuring developments for demand the progress in the U.S./China trade talks, as well as crude oil import figures from China and India also bucking forecasts for a sharp pullback in demand growth.